Extensive Joomla hosting services. Joomla installation, Joomla customization and Joomla theme integration. 24x7 joomla hosting support available. Looking for a user-friendly, highly customizable platform for your website? Try Joomla hosting solutions. BrainPulse brings to its client the most reliable and competent set of Joomla Web Hosting services so that they can run their websites at the click of a mouse, from any part of the world. We provide you with all required tools to run your Joomla based applications effectively, saving you enough time and money. Integrated with standard servers, we ensure that your websites gets loaded quicker, making it a much better and smoother experience for your users. After all! It is all about being available all the time. In addition to meeting the specific requirements of Joomla web hosting services India, we are also competent to satiate the other specific requirements as well, if required by our clients. Extremely rich shared Linux hosting features. Still have queries? 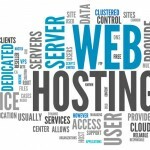 Call us now on 0120-6790400 to get in touch with our Web Hosting experts. They will tell you about our exclusive Joomla Hosting plans made specially for the businesses like you.